Limpopo could easily be called South Africa’s Garden of Eden, thanks to its abundance of tropical and subtropical fruit such as bananas, litchis, pineapples, mangoes and pawpaws. One of the crops that has the most reach, however, are avocados. A significant challenge for operators in this sector is that fruit, by its very nature, is a seasonal product. “When you market to people in Europe they don’t care about seasons; they want avocados all year round,” Bard points out. But it also works in Westfalia’s favour: by supplying retailers all year round, the company remains in constant dialogue with its customers, responding to their unique requirements, which in turn makes it less likely they’ll turn to another brand. Recent developments in South Africa have also focused on closing the window of supply on the growing South African avocado market. 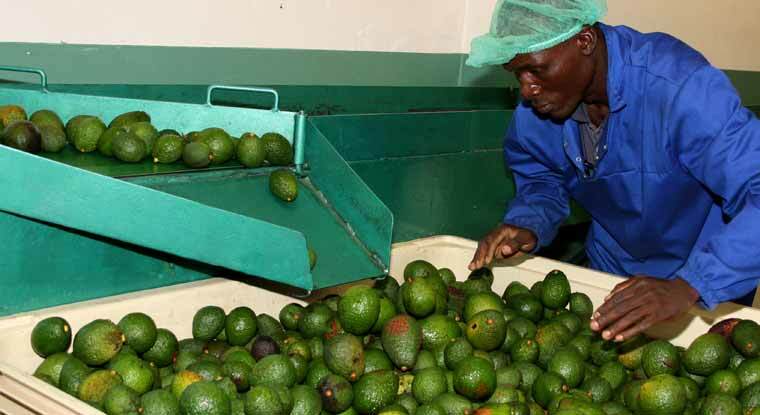 New plantings on Gem, a new cultivar of avocado that has been commercialized by Westfalia, will decrease the dependence on imported products during the South African off season. This project, in addition to decreasing the requirement for foreign exchange for imported products, has created jobs within South Africa. In South Africa, the popular green-skinned cultivars such as the Fuerte, Pinkerton and Ryan, are available from March to October, and the nutty-flavoured, dark-skinned Hass is available from April to November. The company markets and sells avocados grown by other farms and companies in Peru, but it is looking at expanding its own orchards in that country and Colombia. Only about 30% of Westfalia’s supply worldwide is from South Africa. The company supplies avocados to over 40 countries. “The model going forward is for us to not only market avocados from other countries but to also have a flag on the ground in key countries by having our own farms there, because chain stores are always looking to get supply from source,” Bard says. Support from the Waitrose and Albert Heijn Foundations has assisted Westfalia in purchasing vehicles to transport workers and their dependents safely between their homes and places of work or care. The company also established a community hall, as well as a wellness centre and for workers and a crèche for their children. “Additionally, we built a resource centre next to a local state school which historically recorded very low matric pass rates. Since the pupils gained access to computers and other study resources at the centre, the pass rate has increased from 29 percent to 68 percent.” Westfalia has also upskilled 150 of its workers with an eight-month training course in garment making, while 180 pupils – workers’ children – were sent on technical skills training courses for six months. Unlike citrus fruit, which tends to be recognised worldwide, there are places in the world where people have never seen an avocado, he says. But Bard holds that the avocado has so many good qualities it can be marketed worldwide. To ease the burden on its workers, the company provides free crèche facilities and highly subsidised clinic and medical facilities. Sizwe Magagula, Westfalia’s human resource manager and social responsibility facilitator, explains: “We provide primary and preventative health care to employees and their families. Between 350 and 500 patients are seen on a monthly basis. Westfalia’s crèche provides safe and reliable daycare for children aged between three months and five years. They receive two nourishing meals a day, with additional fruit and sandwiches served in the afternoon. The company has a long-standing relationship with the IDC that began in 1997. “In recent times we wanted to expand, but we needed finance. The IDC provided a R12-million facility in 2011 to establish another 143 hectares of avocados,” Bard explains. 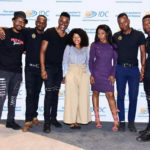 The IDC has been an excellent partner in developing and growing the business in the past. With continuing support, the business can expand in South Africa and Southern Africa to the benefit of the region.